Asset protection planning is simply using legal strategies and structures to transform property from that which could be accessible to creditors to at least making it partially protected. There are several tips that you can use to accomplish this goal. The first line of defense against any kind of liability is insurance including business, malpractice, professional, automobile, homeowners, umbrella and long term care insurance. Liability insurance gives you a way to pay monetary damages and may assist with some or all of the legal fees associated with a lawsuit. 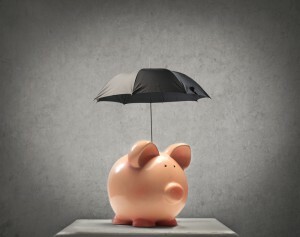 Tax favorable retirement accounts such as 401(k)s and IRAs are protected from creditors and bankruptcy although there are some limitations to this. Maximizing your contributions in this way is a good way to increase your retirement savings while also protecting this money into an LLC. If you are a real estate flipper, investor or a landlord, then it’s a good idea to contact an attorney to help shield your assets from creditors, predators and lawsuits. There are two kinds of liability that can impact individuals like this with claims like slip and falls on the property and outside liability such as situations in which creditors retrieve assets to cover a debt. Consult with a knowledgeable asset protection planning attorney to learn more about what you should know in this process.